Each edition of the Level II Mentoring Newsletter features a leader from a different part of the Defense Logistics Agency Land and Maritime. Each leader is asked the same five questions in order to demonstrate the differences in their leadership styles. The April issue of the “Mentoris Times” features an interview with Navy Capt. David M. Lockney. 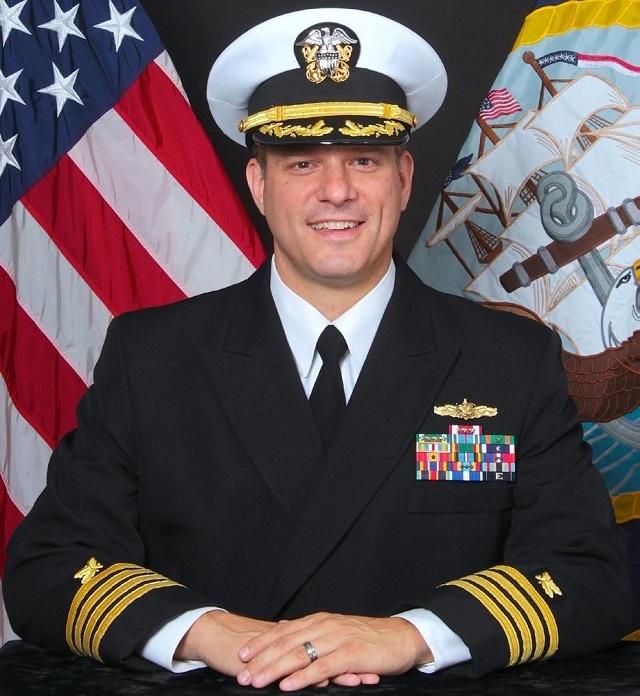 Lockney is the director of Maritime Customer Operations and has over 27 years of Naval Service and seven months experience in the federal government with the Defense Logistics Agency Land and Maritime. 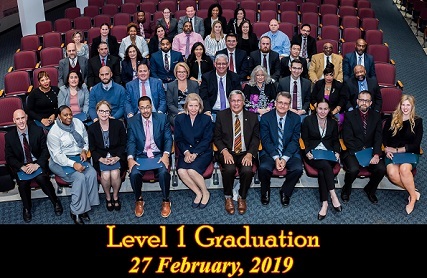 Congratulations to the 58 associates graduating from the Level II Mentoring Program, March 13 in the Bldg 20 Auditorium with RDML John Palmer and Mr. Steven Alsup awarding certificates. Congratulations to the 30 Level I Mentoring Program graduates! On Feb. 27, 30 new mentees completed the requirements and receive certificates from Mr. Steven Alsup, Deputy Commander at a ceremony held in the Bldg. 20 Auditorium. Fortifying resiliency is how DLA helps employees become more effective in their professional and personal lives. Learn more about becoming mentally, physically, socially and spiritually resilient. View the DLA Land and Maritime official calendar including events, programs, meetings and seminars. April 18, 2019 - Have you ever talked yourself out of pursuing a dream? Do you have difficulties controlling your negative, sabotaging or internal thoughts? Is this preventing you from being the best version of yourself? If you’ve answered “yes” to a few of these, you’re certainly not alone. These reactions are caused primarily from a fear of one thing: stepping out of your comfort zone. April 18, 2019 - …also known as stepping out of your comfort zone. The comfort zone is a self-imposed boundary. Do you know what is your comfort zone? April 17, 2019 - As Earth Day approaches, youth at MWR Child Development Center learn about reuse, reduce and recycle. The discussion focused on landfills and why it’s important to reduce the amount of refuse generated. April 16, 2019 - Mobile devices are being introduced into the Department of Defense at an astonishing rate. The Defense Logistics Agency defines mobile devices as a wireless-enabled portable device. These include but are not limited to iPhones, iPads and tablets. What is the NUMBER ONE question DLA customers ask? It’s “Where’s my stuff?” of course. In order to answer this question, it’s important to understand how a requisition flows through DLA 3rd Annual Cardboard Regatta boat race at DSCC, celebrating the Navy's 242nd birthday.